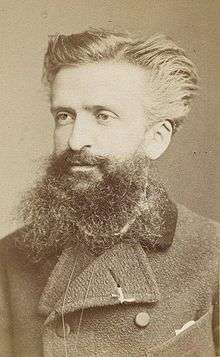 Charles-Marie Gustave Le Bon (/tʃɑːrlz məˈriː ɡʊstɑːv lɛ bən/; 7 May 1841 – 13 December 1931) was a French polymath whose areas of interest included anthropology, psychology, sociology, medicine, invention, and physics. He is best known for his 1895 work The Crowd: A Study of the Popular Mind, which is considered one of the seminal works of crowd psychology. 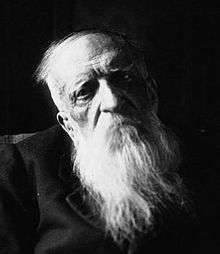 Charles-Marie Gustave Le Bon was born in Nogent-le-Rotrou, Centre-Val de Loire on 7 May 1841 to a family of Breton ancestry. At the time of Le Bon's birth, his mother, Annette Josephine Eugénic Tétiot Desmarlinais, was twenty-six and his father, Jean-Marie Charles Le Bon, was forty-one and a provincial functionary of the French government. Le Bon was a direct descendant of Jean-Odet Carnot, whose granddaughter, Claudine Carnot, married Louis Le Bon. Jean-Odet's grandfather, Jean Carnot, had a brother, Denys, from whom the fifth president of the French Third Republic, Marie François Sadi Carnot, was directly descended. In 1860, he began medicinal studies at the University of Paris. He completed his internship at Hôtel-Dieu de Paris, and received his doctorate in 1866. From that time on, he referred to himself as "Doctor" though he never formally worked as a physician. During his university years, Le Bon wrote articles on a range of medical topics, the first of which related to the maladies that plagued those who lived in swamp-like conditions. He published several other about loa loa filariasis and asphyxia before releasing his first full-length book in 1866, La mort apparente et inhumations prématurées. This work dealt with the definition of death, preceeding 20th-century legal debates on the issue. After his graduation, Le Bon remained in Paris, where he taught himself English and German by reading Shakespeare's works in each language. 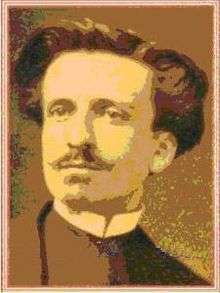 He maintained his passion for writing and authored several papers on physiological studies, as well as a 1868 textbook about sexual reproduction, before joining the French Army as a medical officer after the outbreak of the Franco-Prussian War in July 1870. During the war, Le Bon organised a division of military ambulances. 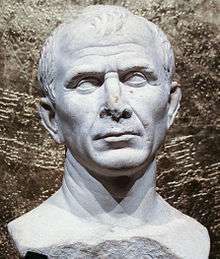 In that capacity, he observed the behaviour of the military under the worst possible condition—total defeat, and wrote about his reflections on military discipline, leadership and the behaviour of man in a state of stress and suffering. These reflections garnered praise from generals, and were later studied at Saint-Cyr and other military academies in France. At the end of the war, Le Bon was named a Chevalier of the Legion of Honour. 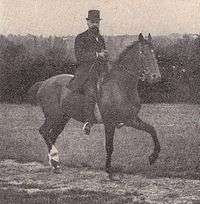 Le Bon's behavioural study of horses also sparked a long-standing interest in psychology, and he released his first work in the field, entitled Lois psychologiques de l'évolution des peuples, in 1894. This work was dedicated to his friend Charles Richet though it drew much from the workings of Théodule-Armand Ribot, to whom Le Bon dedicated Psychologie des Foules (1895). Both were best-sellers, with Psychologie des Foules being translated into nineteen languages within one year of its appearance. Le Bon followed these with two more books on psychology, Psychologie du Socialisme and Psychologie de l'Éducation, in 1896 and 1902 respectively. These works rankled the largely socialist academic establishment of France. In L'Évolution de la Matière (1905), Le Bon anticipated the mass–energy equivalence, and in a 1922 letter to Albert Einstein complained about his lack of recognition. Einstein responded and conceded that a mass–energy equivalence had been proposed before him, but only the theory of relativity had cogently proved it. Gaston Moch gave Le Bon credit for anticipating Einstein's theory of relativity. In L'Évolution des Forces (1907), Le Bon prophesised the Atomic Age. He wrote about "the manifestation of a new force—namely intra-atomic energy—which surpasses all others by its colossal magnitude," and stated that a scientist who discovered a way to dissociate rapidly one gram of any metal would "not witness the results of his experiments ... the explosion produced would be so formidable that his laboratory and all neighbouring houses, with their inhabitants, would be instantaneously pulverised." According to Steve Reicher, Le Bon was not the first crowd psychologist: "The first debate in crowd psychology was actually between two criminologists, Scipio Sighele and Gabriel Tarde, concerning how to determine and assign criminal responsibility within a crowd and hence who to arrest." ↑ Saler, Michael (2015). The Fin-de-Siècle World. Routledge. p. 450. ISBN 9780415674133. ↑ Piette, Bernard (2014). The Universe of Maxwell. Lulu Press Inc. p. 67. ISBN 9781291960082. ↑ Beck, Matthias (2013). Risk : A Study of Its Origins, History and Politics. World Scientific Publishing Company. p. 111. ISBN 978-9814383202. ↑ Rancière, Jacques (2016). The Method of Equality: Interviews with Laurent Jeanpierre and Dork Zabunyan. Polity. p. 95. ISBN 978-0745680620. ↑ Drury, John; Scott, Clifford (2015). Crowds in the 21st Century: Perspectives from Contemporary Social Science. Routledge. p. 169. ISBN 978-1138922914. ↑ Adas, Michael (1990). Machines as the Measure of Men: Science, Technology, and Ideologies of Western Dominance. Cornell University Press. p. 195. ISBN 9780801497605. ↑ Le Bon, Gustave (1913). Aphorismes du temps présent. Ernest Flammarion. ↑ Bud, Robert; Warner, Deborah Jean (1998). Instruments of Science: An Historical Encyclopedia. Taylor & Francis. p. 157. ISBN 9780815315612. ↑ Söyler, Mehtap (2015). The Turkish Deep State: State Consolidation, Civil-Military Relations and Democracy. Routledge. p. 70. ISBN 9781317668800. ↑ Mitter, Partha (1992). Much Maligned Monsters: A History of European Reactions to Indian Art. University of Chicago Press. p. 268. ISBN 9780226532394. ↑ Quinn, Frederick (2007). The Sum of All Heresies: The Image of Islam in Western Thought. Oxford University Press. p. 104. ISBN 9780199886760. ↑ Hourani, Albert (1962). 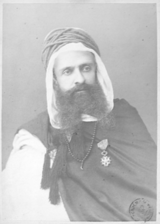 Arabic Thought in the Liberal Age 1798-1939. Cambridge University Press. p. 173. ISBN 9780521274234. ↑ Kedourie, Sylvia (1962). Arab Nationalism: An Anthology. Cambridge University Press. p. 182. ISBN 9780520026452. ↑ Kramer, Martin Seth (2011). Arab Awakening and Islamic Revival: The Politics of Ideas in the Middle East. Transaction Publishers. p. 63. ISBN 9781412817394. ↑ Carey, John (2012). The Intellectuals and the Masses: Pride and Prejudice Among the Literary Intelligentsia 1880-1939. Faber & Faber. p. 31. ISBN 9780571265107. ↑ Seymore, Sarah (2013). Close Encounters of the Invasive Kind: Imperial History in Selected British Novels of Alien-Encounter Science Fiction After World War II. LIT Verlag Münster. p. 108. ISBN 9783643903914. ↑ Sills, David L. (1968). International Encyclopedia of the Social Sciences. Macmillan. p. 82. ISBN 9780028661520. ↑ Ewen, Stuart; Ewen, Elizabeth (2011). Typecasting: On the Arts and Sciences of Human Inequality. Seven Stories Press. p. 346. ISBN 9781583229491. ↑ Nye, Robert A. (1969). An Intellectual Portrait of Gustave Le Bon: A Study of the Development and Impact of the Social Scientist in His Historical Setting. Xerox University Microfilms. p. 5. ↑ Nye, Mary (1974). Gustave Le Bon’s Black Light: A Study in Physics and Philosophy in France at the Turn of the Century. pp. 163–195. ↑ Kragh, Helge (1999). Quantum Generations: A History of Physics in the Twentieth Century. Princeton University Press. pp. 11–12. ↑ Jammer, Max (2009). Concepts of Mass in Contemporary Physics and Philosophy. Princeton University Press. p. 72. ISBN 9781400823789. ↑ Swiderski, Richard M. (2012). X-Ray Vision: A Way of Looking. Universal-Publishers. p. 67. ISBN 9781612331089. ↑ Crosland, Maurice (2002). Science Under Control: The French Academy of Sciences 1795-1914. Cambridge University Press. p. 347. ↑ Kayman, Martin A. (1986). Modernism Of Ezra Pound: The Science Of Poetry. Springer. p. 83. ISBN 9781349182473. ↑ McClelland, J. S. (2005). A History of Western Political Thought. Routledge. p. 660. ISBN 9781134812103. ↑ Staff writer(s) (14 December 1931). "Gustave Le Bon obituary". Journal des débats. ↑ Reicher, Steve (2003). Blackwell Handbook of Social Psychology: Group Processes. Wiley-Blackwell. p. 185. ↑ Eley, Geoff (2008). Citizenship and National Identity in Twentieth-century Germany. Stanford University Press. p. 284. ↑ Gonen, Jay Y. (2013). The Roots of Nazi Psychology: Hitler's Utopian Barbarism. University Press of Kentucky. p. 92. ↑ Ewen, Stuart (1996). PR! : A Social History of Spin. Basic Books. p. 63. ↑ Le Bon, Gustave (1984). Psychologie du Socialisme. pp. 415–416.